Yes, it is safe to visit Hawaii after the 2018 Volcanic Activity. 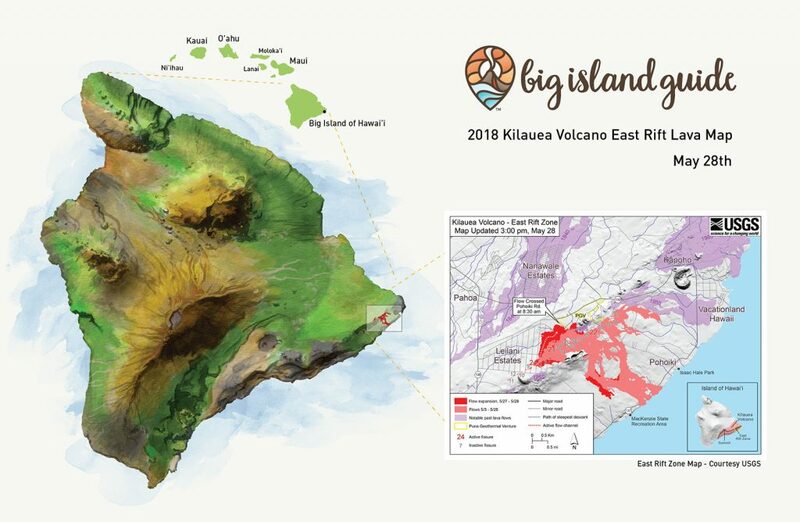 With the 2018 eruption of Kilauea, many people have questions about how the volcano will affect their visit to the Big Island and if it’s safe to visit Hawaii during and after this volcanic activity. It is safe, and there are just a few safety considerations for visiting the recently active region. Kilauea, one of the world’s most active and largest shield volcanoes, is an ever-present reminder of the incredible forces of nature that are constantly at work on the Big Island of Hawaii. This beautiful and dynamic island is always full of surprises and adventure for those who visit. As of early 2019, there are no surface lava flows, the seismic activity has stopped or is so mild that any earthquakes aren’t being felt, and people are visiting the area around the recent flows regularly. When driving you will want to watch out for any signs of closed areas as the road crews and park rangers work to reopen roads and fix cracks. There are some steel plates across cracks and the sections where they have cut roads through the lava flow are like driving any dirt road, they can get slick in the rain and may have loose gravel on them. Section of Road cut through the recent lava flow on the Kalapana-Kapoho Road. Inside the Volcanoes National Park there was extensive damage to roads and buildings near the crater and these will remain closed for now, but many other areas are open. The park service is very good about marking open and closed areas so just follow current instructions from rangers and posted signs, and you can see current closures here. The first thing to understand about the 2018 Kilauea eruption is that the majority of the Big Island was not directly affected by the volcanic activity. The news coverage of this event was extensive and quite stunning, but did not give a good understanding of the scale. The Big Island is about 93 miles across and just over 4000 square miles in size. The region that was affected by the activity covers only around 20 square miles, that’s less than 1% of the island! The active flow area was in the Puna region, along the volcano’s east rift zone, the same area where the Kilauea flows have been active numerous times over the last 200 years. This area is not inside of Volcanoes National Park and is not accessed by going to the park. Another thing to keep in mind is that Kilauea has been erupting regularly for a very long time and the recent activity has actually been continuous since 1983, with periodic times of increased activity. The 2018 Kilauea Eruption event lasted from late April until late August 2018 and was a spectacular eruption with a huge release of lava. Click here to see the USGS document with the full timeline of the 2018 Event. Because Kilauea is a shield volcano, the volcanic activity it displays is a little different than what you typically think of with a volcanic eruption. 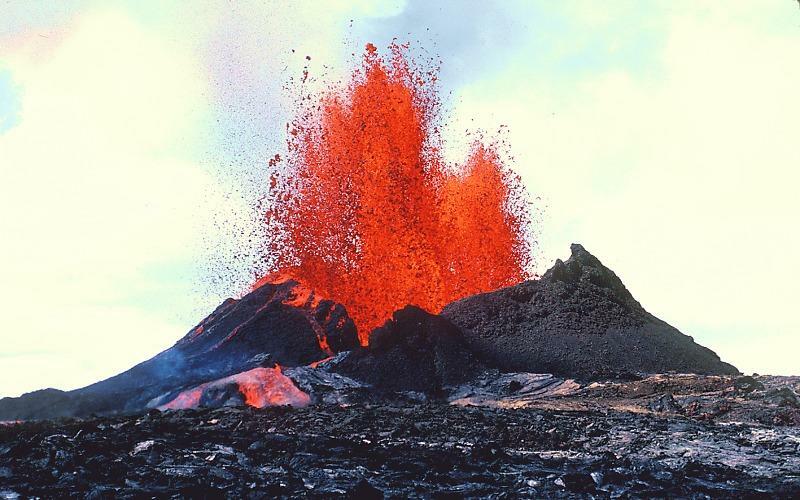 The volcano is constantly pushing lava and gasses out which acts as a release valve for the volcanic pressure, making it much less likely that an explosive eruption will occur. Under typical conditions, this continual activity is why a visit to Hawaii Volcanoes National Park is so fascinating, you can actually see a volcano at work. 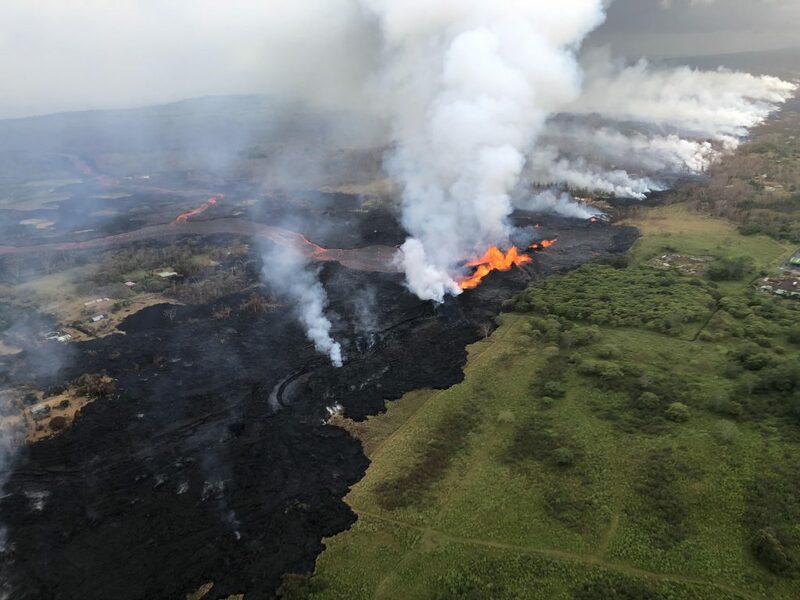 During the eruption, the East Rift Zone and Volcanoes National Park were closed to the public, due to seismic activity, dangerous gasses and flowing lava, but they have since reopened with a few exceptions. Mostly places where buildings, trails or roads were damaged by earthquakes and are being repaired. The lava flow rate of Kilauea volcano has historically been between 250,000-650,000 cubic yards per day over the last several decades, this increased significantly during the 2018 flow creating a lava river to the ocean. Because so much lava was released during the 2018 flow, the activity of the whole region has dropped dramatically since the end of the eruption event. While no one knows when it will return to a more active status for sure, it seems that Kilauea is taking a much needed rest for the time being. 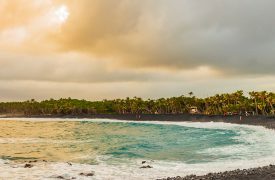 The Big Island has more things to do than you could accomplish on several visits due to the sheer size and scale of the island. Even during the most active part of the 2018 eruption, you could still visit the other 99% of the island without being directly affected by the volcanic activity. 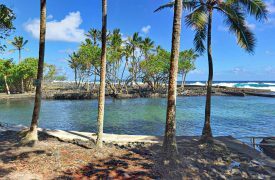 Non volcano activities include; visiting amazing beaches, stargazing from the top of Mauna Kea, zip lining through the jungle, golfing, sport-fishing, surfing, hiking, sightseeing, kayaking and snorkeling in the pristine Pacific Ocean. If your primary reason to visit Hawaii is to see an active flow, then realize that the eruption is no longer flowing and that the over all volcanic activity on the island has slowed dramatically for the time being. The good news is that Volcanoes National Park and areas near the active flow zone are now open to visitors. For safety reasons, visitors are asked to stay back from any of the new flows and not to walk or hike into areas that were recently covered over. Always respect and follow the Hawaiian Authorities recommendations and do not venture into restricted zones. 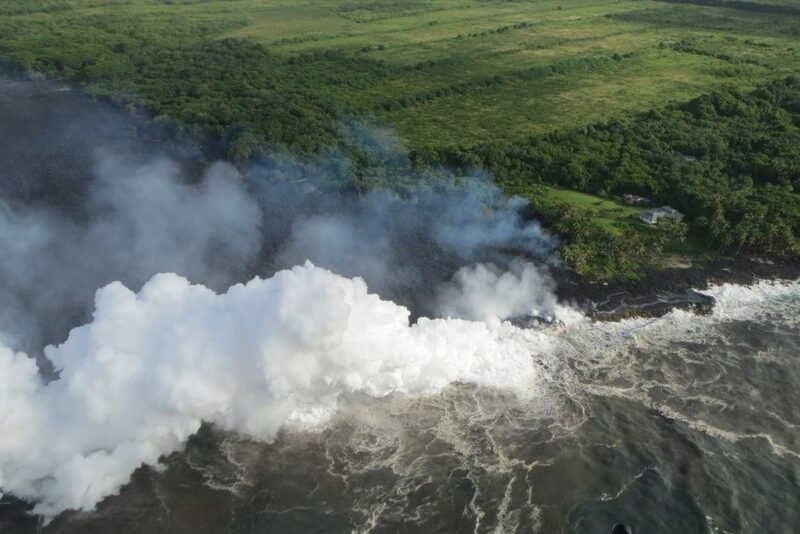 At this point, lava is not flowing on the surface or entering the water so most boat tours have been suspended, but the flight restrictions have been lifted, so helicopter companies are taking air tours over the new flows and over the old craters once again. Please realize that the new flows are still off gassing and can be very dangerous to climb. Never venture into the closed areas and follow all safety recommendations closely. There was extensive damage to certain areas in the park, so the earthquake damaged roads and trails are closed, and you should follow all park ranger instructions for off limits areas. The most direct threat still in the lava area is from the volcano’s gasses, which are only mildly affecting the area around the eruption now. There is a small chance of exposure to gases in the Puna area and you should leave the area immediately if you smell sulfur. In most areas away from the eruption, the largest concern during the eruption was actually air quality as the lava pouring into the ocean created vog (volcanic fog) that could irritate your eyes and sinuses. Since Kilauea has quieted down after the 2018 eruption, the air quality on the Big Island is the best it has been in decades, with little to no vog. The clear skies are making visitors and residents very happy! 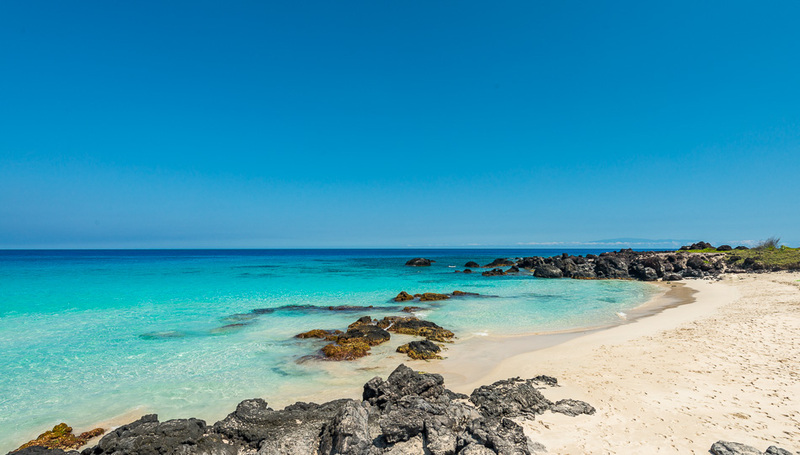 Crystal Clear Horizon at Kua Bay on the Kona Coast. You can even see Maui in the distance. One of the difficult things about the 2018 activity was that the fissures that opened and the resulting lava flows were in an area where several subdivisions of homes were built. You may be wondering why anyone would live on an active volcano. 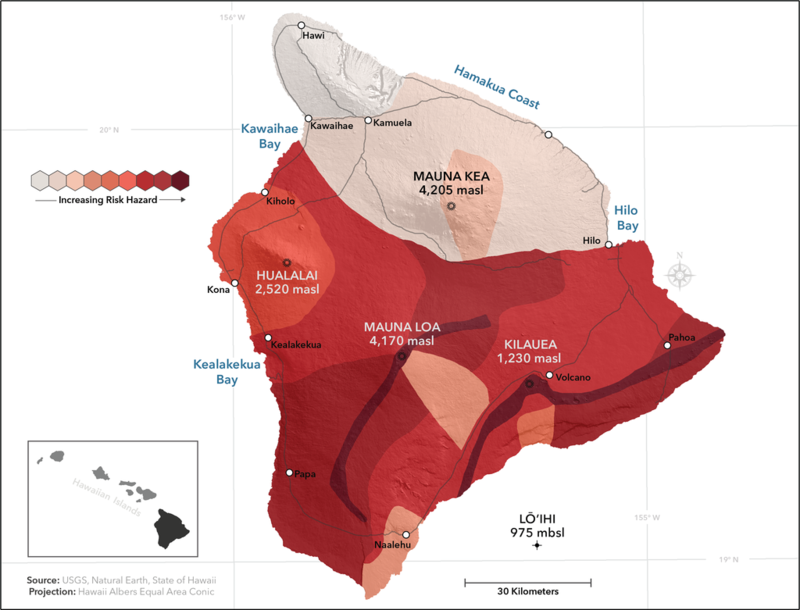 From a volcanic risk point of view, the Big Island is divided into “lava zones” with areas that are very likely to have future volcanic activity being in zones 1 & 2 and progressively less active zones having higher numbers. The majority of Puna is in Zone 1-3, with high likelihood of volcanic activity. It is very difficult to get traditional mortgages and home owners insurance in the more active zones because of the known danger, however the cost of living in this area is significantly less expensive, which leads to more people than you would expect living in the path of the most likely flows. The 2018 eruption prompted evacuations of Leilani Estates, Lanipuna Gardens, Kapoho, and Vacation Land and many homes in these areas were destroyed by the flows. 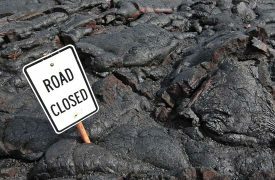 Many Puna area residents and businesses were evacuated, and lost significant personal property, homes and land during the eruption. 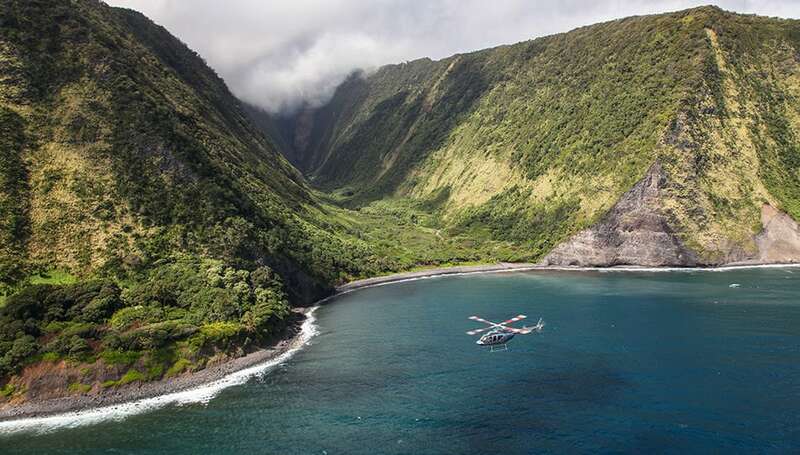 The Waipio Valley Shuttle is an easy and safe way to explore the wondrous "Valley of the Kings" along the northeastern end of the Big Island, the tour offers a once-in-a-lifetime sightseeing experience.